[ca. 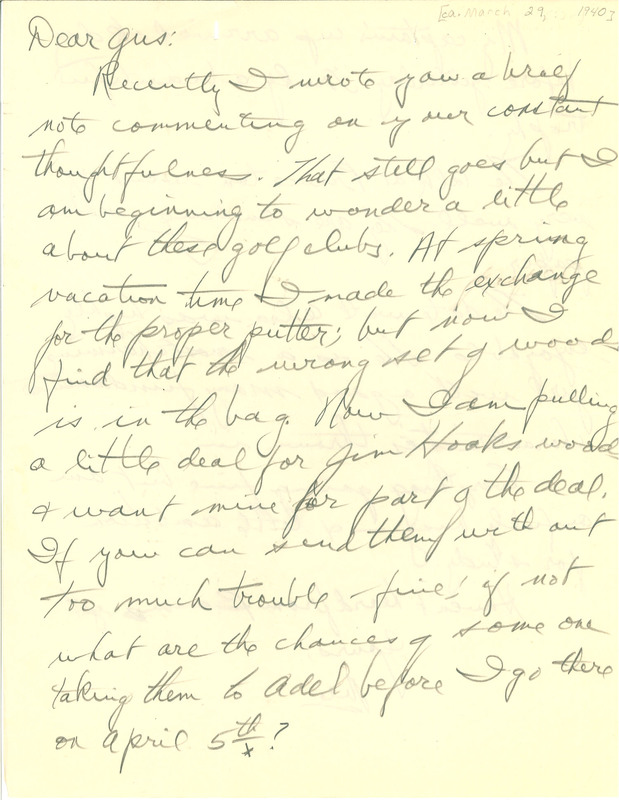 March 29, 1940] Dear Gus: Recently I wrote you a brief note commenting on your constant thoughtfulness. That still goes but I am beginning to wonder a little about these golf clubs. At spring vacation time I made the exchange for the proper putter; but now I find that the wrong set of wood is in the bag. Now I am pulling a little deal for Jim Hooks wood & want mine for part of the deal. If you can send them with out too much trouble - fine; if not what are the chances of some one taking them to Adel before I go there on April 5th?